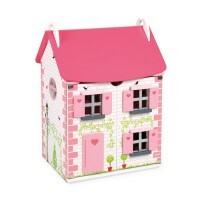 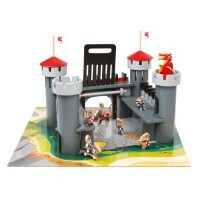 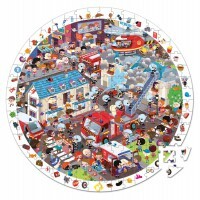 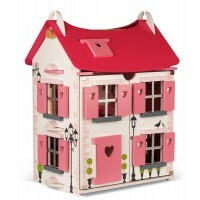 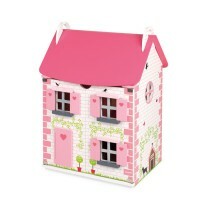 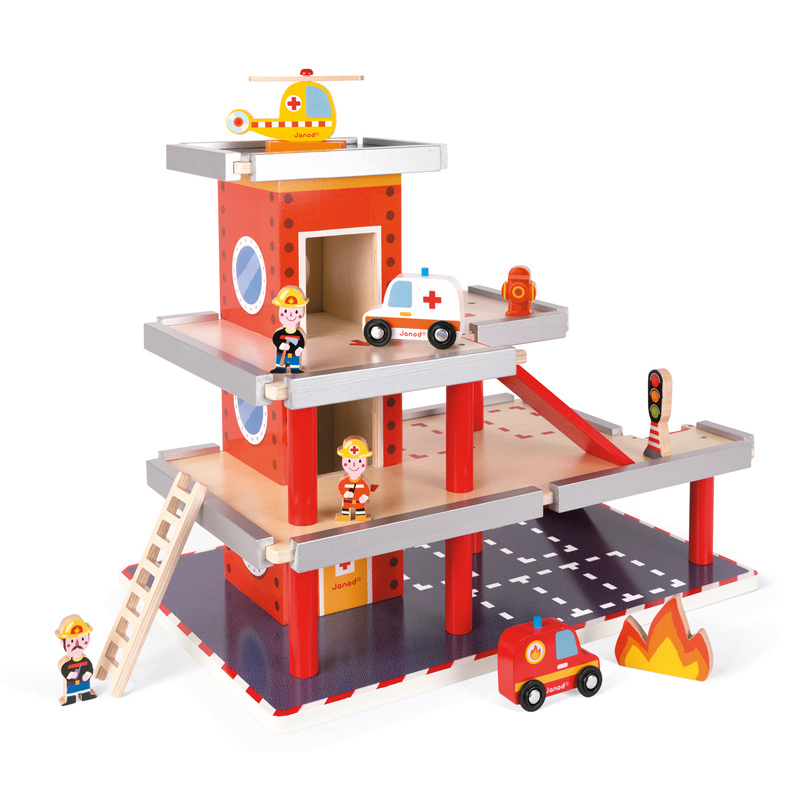 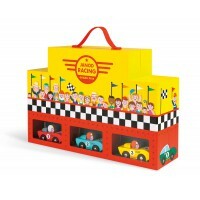 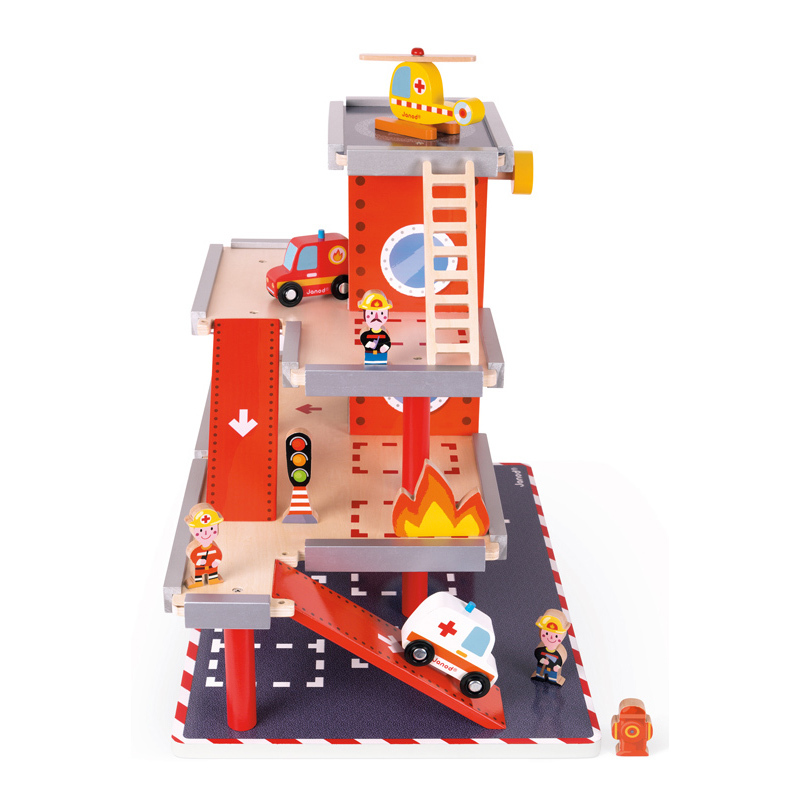 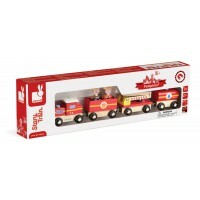 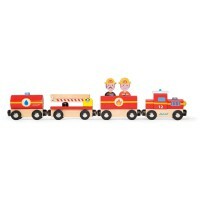 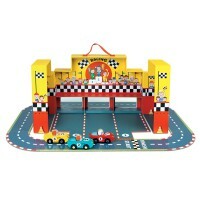 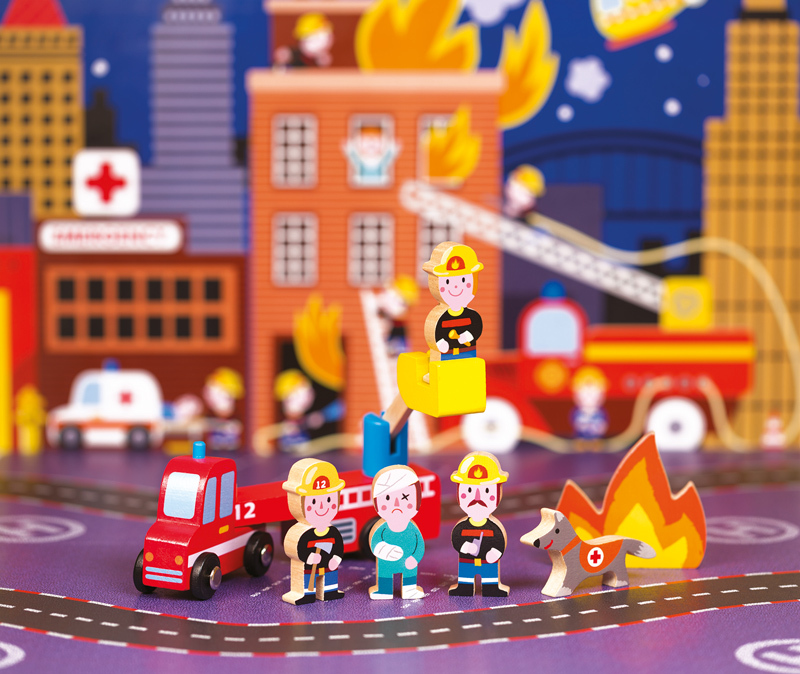 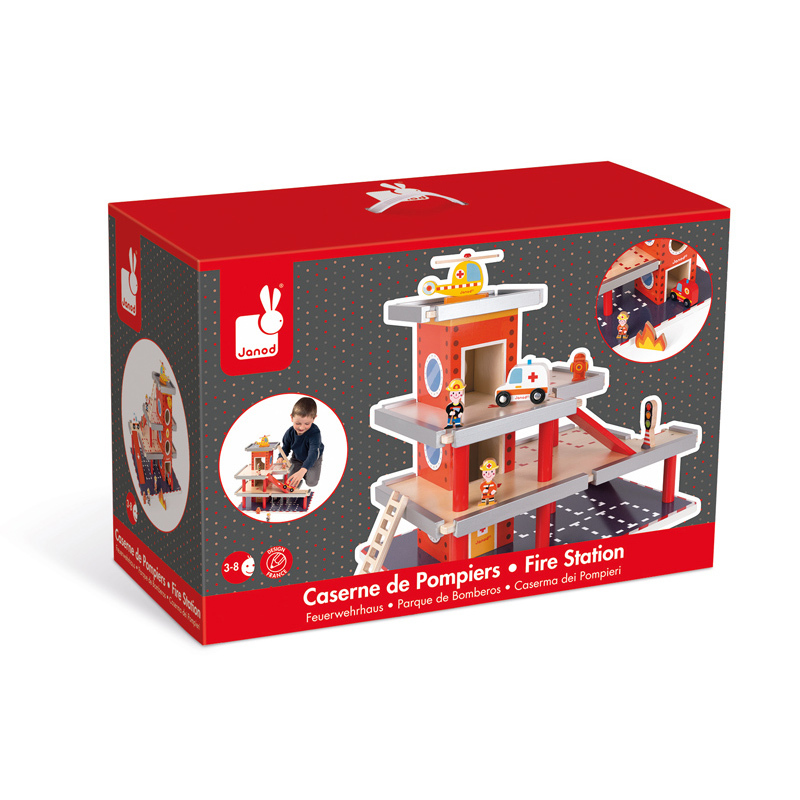 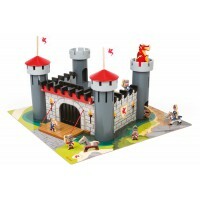 The Janod Fire Station is a must-have for the playroom for little firefighters! 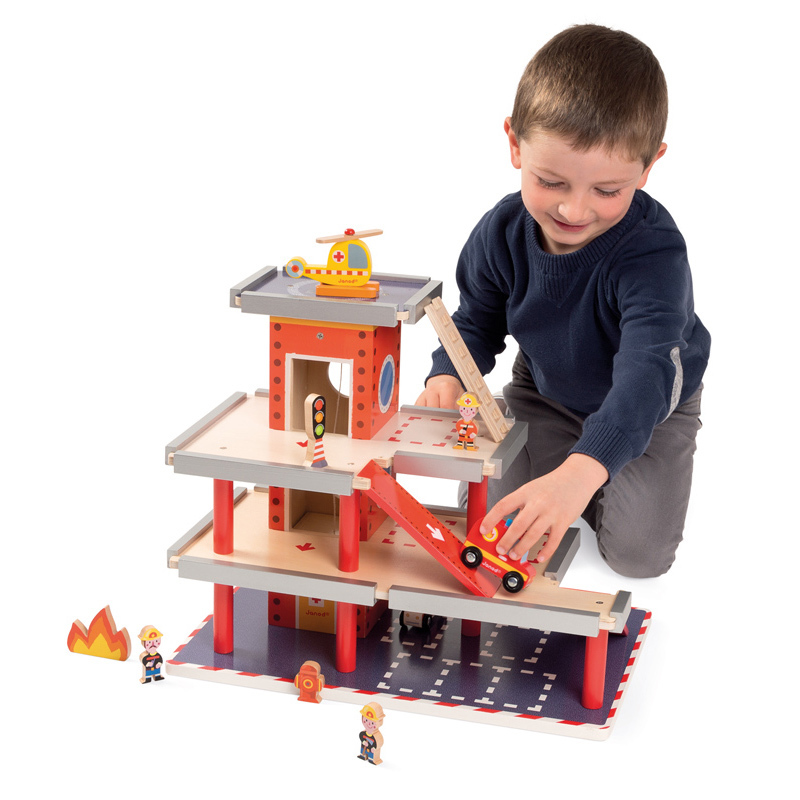 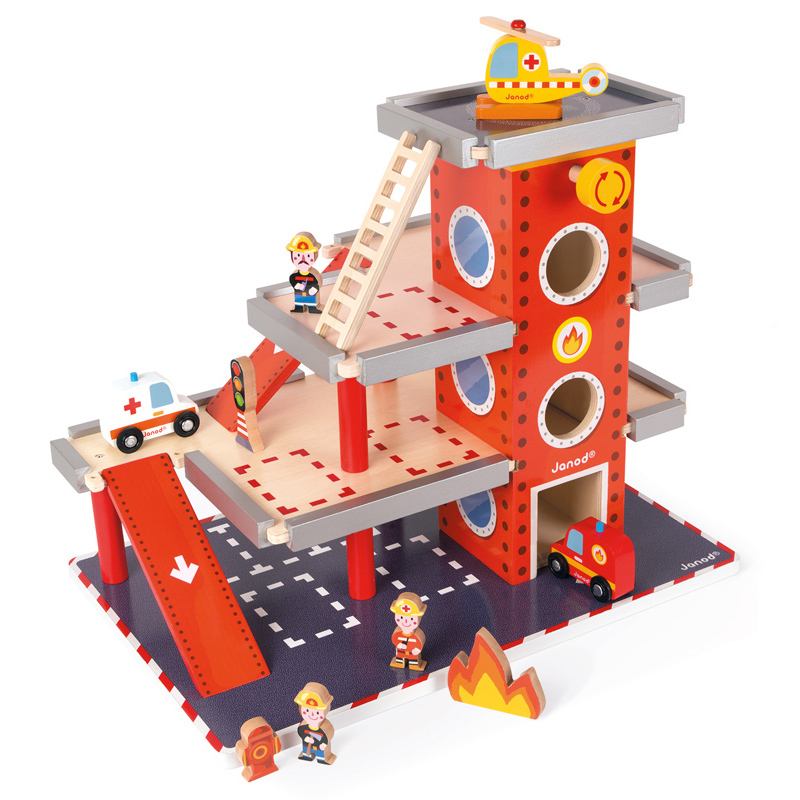 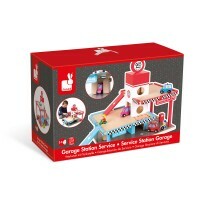 Fantastic for role play and sparking the imagination, the wooden fire station has 4 levels including the helipad and a lift to get from the ground to the second level. 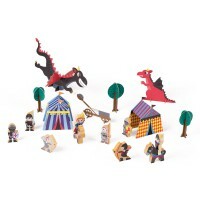 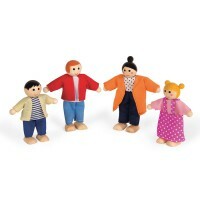 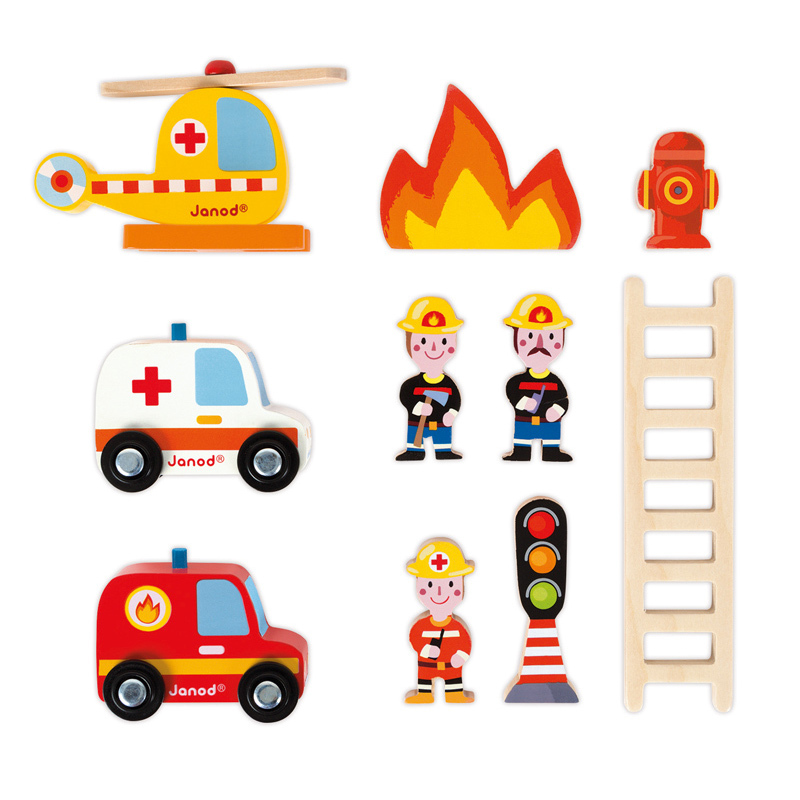 10 wooden accessories including 2 fireman and a fire car, a medic and his ambulance, a helicopter, ladder, hydrant, stop lights and flames complete the set and ensure you are prepared for any emergency.